In addition to the Universities and Colleges who use EHR Tutor, we've spoken to a lot of Health Occupations programs that are part of secondary school programs lately. To help standardize CTE standards across the country, we've heard quite a few schools mention national Health Care standards when discussing the creation/revision of their curriculum. 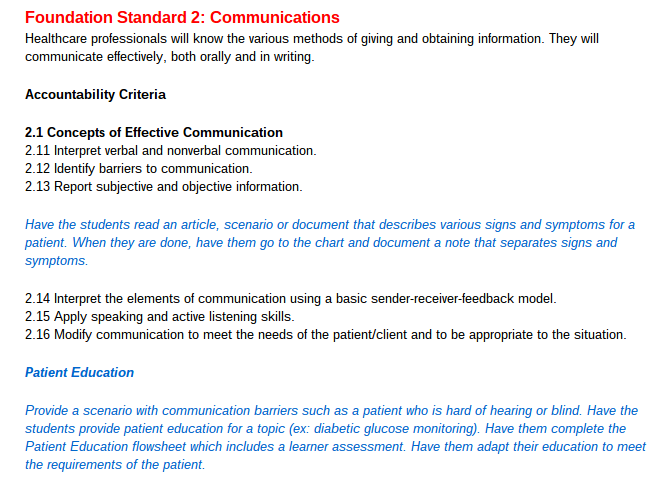 Hopefully, the document below will help those schools quickly integrate a system like EHR Tutor while outlining the standards your program fulfills (feel free to use our verbiage, we know you don't have nearly enough time to rewrite all these points into your course descriptions! ).